Sadly, not for a 73-years-old investor who lost $400,000. The can’t miss investment was for a startup powder coating business. 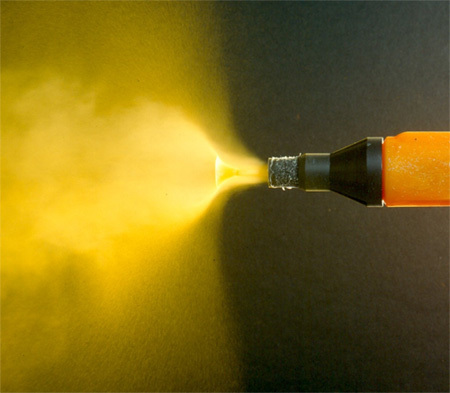 That is the process of coating metal with paint in a powder form that is considered more environmental friendly. One perp pled guilty and got two years in a federal work camp. The local paper wrote, “Conde, who restores vintage cars, claimed to have vehicles and a stockpile of parts valued at $750,000 as collateral for the loan, but federal officials said those amounts were false. In another instance, the grand jury alleges, Conde and Kemerer made up a document indicating they paid $300,000 to Industrial Finishing Systems for equipment when, in fact, no payment was made. “Kemerer took an unknown person to a notary to pose as president of Industrial Finishing Systems to verify that Kemerer had made the payment, according to the indictment. More on the investor’s loss here.